When picking out jewelry and accessories, it’s mostly about finding what you like. Then, you pair the pieces with the right gear. But, when choosing jewelry to wear for the holidays, things can be a bit more complicated. Seasonal jewelry offers wide varieties of selections. And, these selections are expanding all the time. You’ll find all sorts of coordinated earring and necklace sets, as well as novelty pieces, such as themed pendants and pins. We’re here to help you figure out how to choose the right holiday jewelry for your style and fashion sense… because we all want to look good for the holidays! Your everyday fashion style is a direct reflection of your personality. So, if you’re not usually a flashy person, you may feel uncomfortable walking around in bold holiday pieces. Instead, go with jewelry pieces you really like. Do you typically like wearing lots of jewelry pieces or layered necklaces? Long strands of pearls layer perfectly to make beautiful necklaces for the holidays. They can also be used to create your own multilayered bracelets. Or, you can go with pearl bangle bracelets instead. 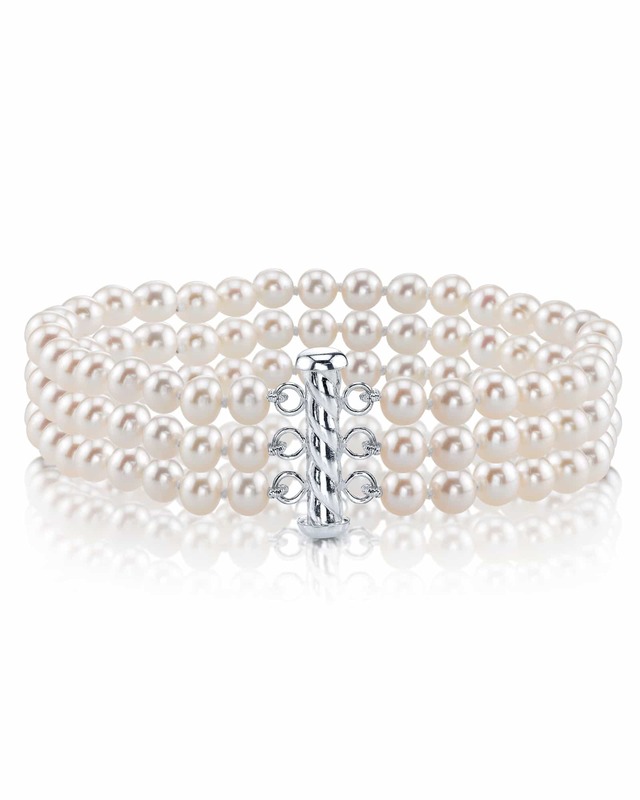 Then, simply find a few holiday pieces you can coordinate with your holiday pearl jewelry. For a simpler look, tone it down with a pair of holiday stylized pearl studs and a simple holiday-themed pin. Or, choose a simple necklace with a single pearl surrounded by holiday theme-colored gems. 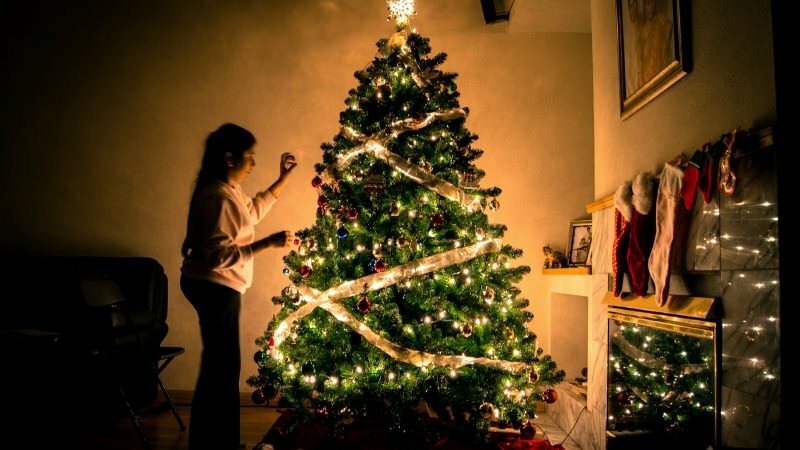 “The holidays” brings with it numerous parties and celebrations. When choosing the type of holiday jewelry to wear, consider the actual occasion. Just because the jewelry has a Christmas theme, doesn’t necessarily make it appropriate for your specific event. For example, if you’re going to a very dressy office party, you may not want to wear flashy, gaudy Christmas brooches and buttons. But, if it is a flashy affair, go ahead and have fun with your jewelry for the holidays. Throw on layers of red and green colored pearls and rhinestones for Christmas and New Year’s, or red, white and blue colored pearls and other gems for Independence Day, Labor Day and Veteran’s Day. You can find the perfect colored pearl jewelry for just about any holiday. This is an idea to keep in mind when shopping for holiday jewelry. If you get too carried away, you may find yourself looking like Cupid, St. Patrick himself or a Christmas tree. So, always remember… less is more. Keep in mind that holiday accessories can be really flashy and colorful. So, choose jewelry pieces for the holidays that stand out. But, don’t choose multiple pieces that make your appearance seem cluttered. 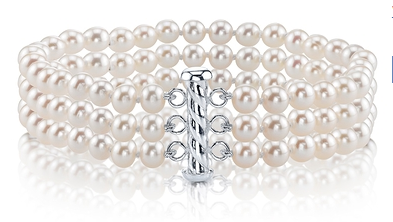 White pearls have a way of adding luster to your look, without adding “too much” to your look. Choose pearl jewelry that blends in with your holiday jewelry, not overpowers it. Most holidays have theme colors. Most festive people like to use these colors to show their holiday spirit. But, try not to go color-overboard. Choose one color for your holiday jewelry that unifies your look. 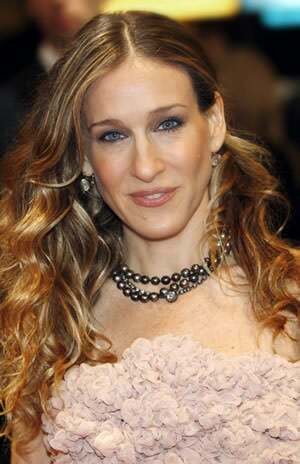 For Halloween, for example, you can add multiple pieces of pearl jewelry in shades of orange. For Easter, you can go with pink pearl jewelry, and for Christmas, pearl jewelry in red and green. 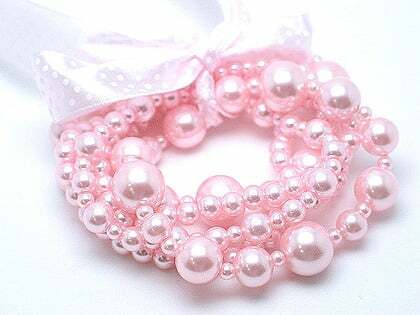 Click here to shop for pink pearls online. To add some flare to your holiday look, choose several pieces of pearl jewelry in various styles and sizes, but make sure they’re the same color. This will give you a more sophisticated look for the holidays. Have fun with your holiday accessories, but don’t overwhelm your outfit. The best way to show off your festive holiday jewelry pieces is by making sure the rest of your outfit is simple. For example, maybe you want to show off your new Thanksgiving pin, with its bronze color and holiday theme. Pair this up with a plain colored dress that makes the bronze stand out. You can pick out gear that highlights one of the festive colors in the holiday pin or other accessories. Or, you can keep things simple by wearing white or black. This allows your outfit to act as a blank canvas, which will really highlight your holiday accessory or jewelry. 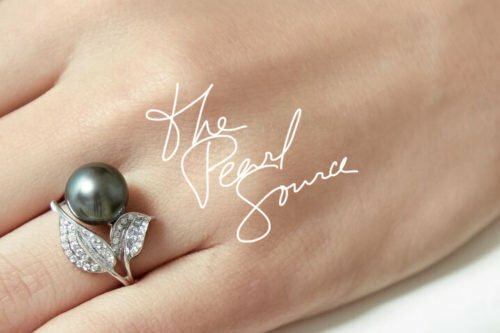 If you plan to wear all black for the holidays, pair your outfit with white pearl jewelry. 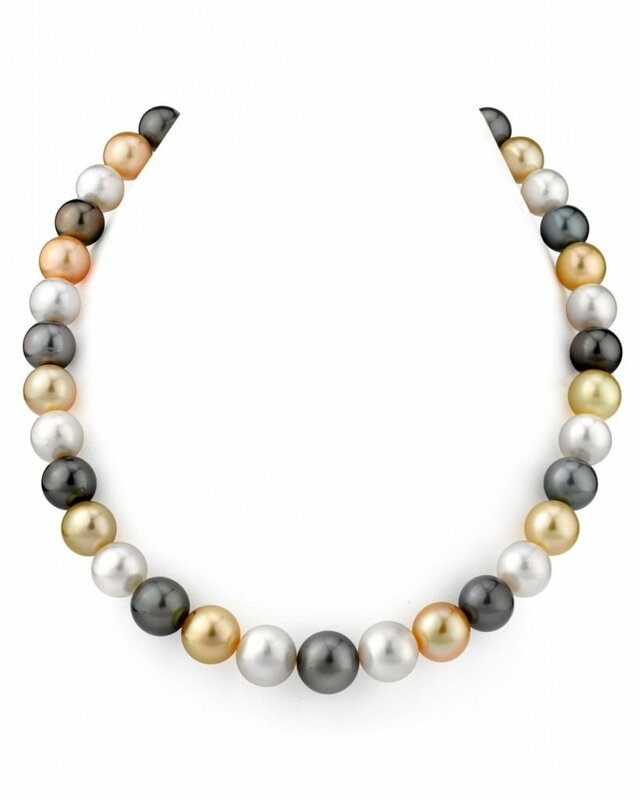 For an all-white holiday occasion, Black Tahitian pearl jewelry will do the trick. Just remember, you can also add a few colorful pearl jewelry pieces, just not too many colors all at once. Here in America, there’s always a holiday approaching. And, those festive ones are creeping up pretty fast this year. So, it’s time to start preparing for the Christmas shopping season, and you need to get it right if you’re buying holiday gifts for the special lady in your life. Every woman has a unique taste all her own. So, when buying jewelry for her for the holidays, make sure it’s what suits her, not just what’s trending on the jewelry market. 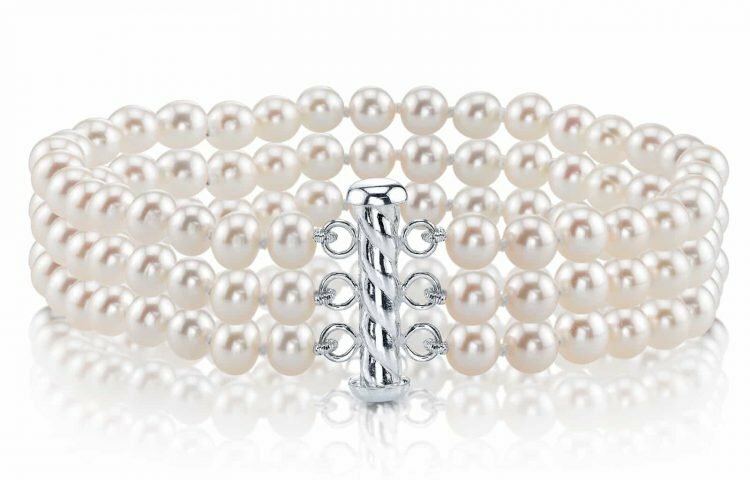 Pearls are perfect for Christmas and all other holidays. Does she like gold or silver? This is the first question to tackle. The metal you choose is the starting point to buying her jewelry she’ll truly love. What kind of jewelry does she typically wear? Does she like wearing necklaces, pendants, earrings, rings, bracelets, charms or pins? Be sure to buy something she’ll actually wear, and like it. What size jewelry does she like? Is she into bold, chunky, big, small, petite or delicate looking jewelry pieces? Does she typically wear simple pieces or statement pieces? She needs to feel comfortable in the jewelry she wears. Does she gravitate towards specific stones? Diamonds aren’t every girl’s best friends. Some prefer specific colored stones. Some are into their birthstones. Either way, this is very important because many women prefer pearls over diamonds these days.